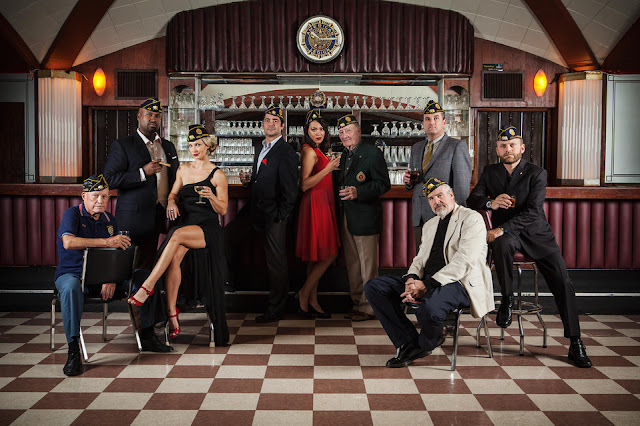 I read an awesome article in the Wall Street Journal earlier this week about the American Legion in Hollywood, CA. It's a great story of "modern vets" helping reshape a long standing veteran association to fit them, and by doing so, adding members to an organization that was slowly dying. This years new members number over 200, last year only 19 new members were inducted. “We have the cheapest drinks, the nicest people, the best-looking bar,” says Post Commander Fernando Rivero, a 42-year-old TV producer who engineered a bloodless coup that overthrew Post 43’s old guard. The new post commander said something that really stuck out to me. When attending a California Legion convention, he noticed the program mostly featured ads for hospices and cemeteries. "You realize your advertisers are branding you?" This is my problem with MOAA's magazine, Military Officer. It's full of really great articles on their advocacy efforts that support both vets and active duty, but what sticks out are all the ads for retirement communities. Gah! I am instantly turned off. I am hugely excited by the efforts at the Hollywood American Legion and awesome programs like Battle Tested Veterans (Sharing Stories, Not Stereo Types) that I have written about before. There are lots of amazing vets out there doing great things for our world, and I am hopeful that the traditional veterans organizations are ready to evolve with them.